WHY CHOOSE ALL AMERICAN WINDOW & DOOR? Because we are dedicated to helping you find the best replacement patio, storm, and exterior doors for your home. Take a look at our vast selection to fit your needs today and save. During our 33rd Anniversary party, we want to help you open the door to the home that reflects your personal style while still providing you with great value! If you’re looking for new exterior doors to put the finishing touch on your home, you’ve come to the right place. Our wide range of patio doors can be fit into any opening while our entry doors and storm doors are second to none. Browse our vast selection of replacement doors today and save. Your home’s replacement door should ensure a memorable entrance that will provide curb appeal and make your home the envy of the neighborhood. 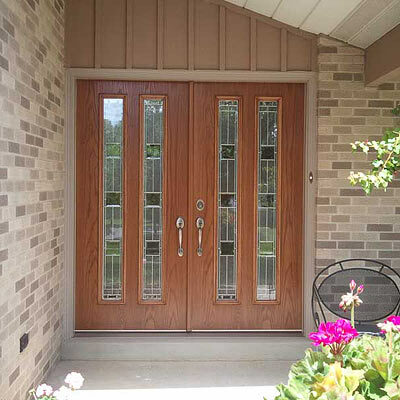 Your replacement door should provide safety without sacrificing beauty. The quality steel and fiberglass replacement doors offered by All American Window and Door are strong, durable, beautiful, and provide exceptional energy performance, all able to be personalized for the look and features YOU want. 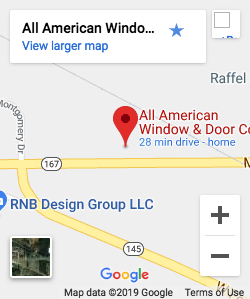 All American Window and Door has been providing quality products and service in Southeastern Wisconsin (Germantown, Menomonee Falls, Sussex, Lannon, Richfield, West Bend, Jackson, Waukesha, Milwaukee, Cedarburg, Hartland, Colgate, Mequon, Wauwatosa, Hartford, Butler, Hartland, Pewaukee, Brookfield, Delafield and the surrounding communities) for over 34 years. 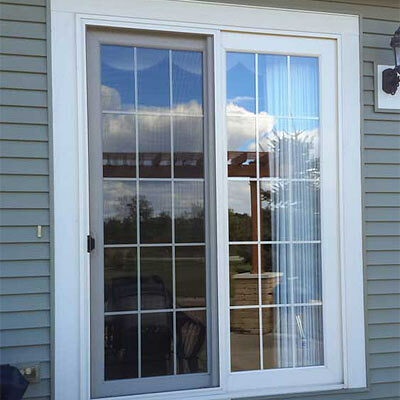 Our replacement doors are manufactured by Waudena, a leader in quality replacement doors. 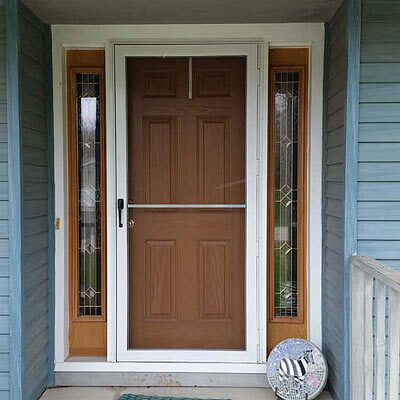 Waudena replacement doors’ interiors and exteriors are made of 22-gauge galvanized steel, providing a top-quality replacement door that will keep your home comfortable and the extreme Wisconsin weather out. Our replacement doors are energy-efficient and come in a large variety of stain and paint colors (more than 80), so you will find the perfect color to give your home to look you want! Our replacement doors also offer many style options, so whether you want to stand out or blend in, you will have that special curb appeal that makes your house into your home.